* Outside Kerala students are also eligible provided if not written Aricent test is the last 6 months. CTC:- 3.5 LPA ( bond of 21 months ). * Must be open to relocate to any Capgemini location, work across technology, domain, role and should be ready to work in shifts if required. Capgemini SE is a French multinational professional services and business consulting corporation headquartered in Paris, France. It is one of the world’s largest management consulting and professional services companies with over 200,000 employees in over 40 countries, of whom nearly 100,000 are in India. 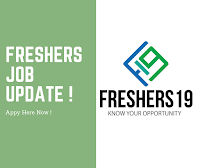 • Location for test: – Bangalore; The test location will be shared in a separate email post your registration and screening process.